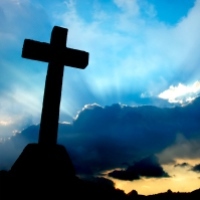 Anthony Sodono, Jr., 87, of Cape Coral, Florida passed away on April 10, 2019. He was born April 15, 1931 in Hacketstown, New Jersey, the beloved son of Anthony Sodono, Sr. and Marie Favata. He was the devoted husband of JoAnne Sodono for 42 years of marriage. A loving father to Anthony Sodono, III (and wife Leanne), Susan Annunziata (and husband John) and Kimberly Valentine, as well as a beloved grandfather of Lauren Sodono, Anthony Sodono, IV, Talia Annunziata, Karissa Thompson, Logan Sodono, and Gabriella Thompson. He was the caring brother of Evelyn Citro, Lucille DeAngelis, Rose Kisner (deceased), Pat Sodono (deceased) and Frank Sodono (deceased). Anthony will be remembered as a wonderful husband and father, a good man, and a funny guy. He will be dearly missed.